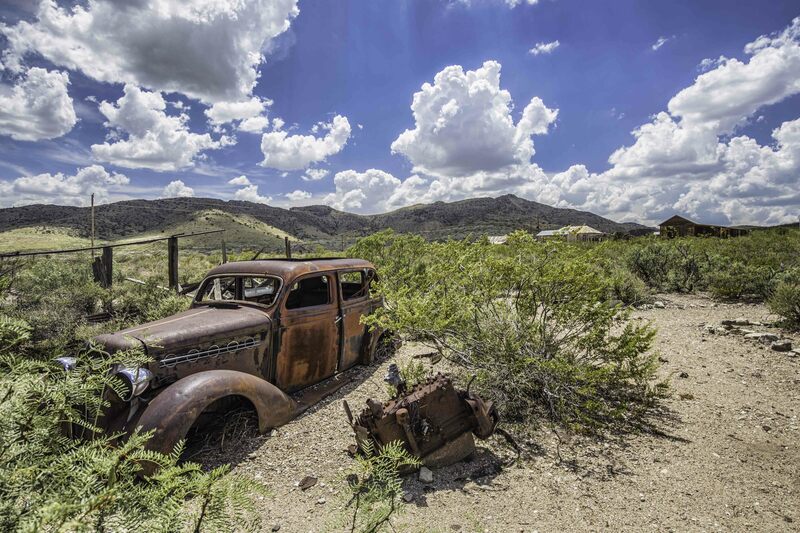 Living in El Paso, Texas means that there is history in practically every direction. I am endlessly searching photographic topics that satisfy the blooming photographer in me as well as the history lover. When those two worlds collide, it is my personal perfect storm! About 90 minutes north of the Texas-New Mexico border exists a real ghost town called Lake Valley and it’s the perfect storm. North of Las Cruces, just off I-25 is Hatch, New Mexico and this would be the place you would want to gas up and get something to eat. There is only one small unincorporated town between Hatch and ghost town at Lake Valley. That little town is called Nutt, I believe it’s named that because ain’t Nutt’n there but a biker bar… literally Nutt’n. The 30 minute drive from Hatch can can be kind of cool with wild deer in the fields, but there’s generally not much to see. Once you arrive in Lake Valley you’ll see the cemetery on the hill to the left. However, it’s best to go straight to the visitor center and ring the bell for the guide. Lake Valley has been taken over by the Bureau of Land Management (BLM), there’s no better way to get a quick overview of the place than from the guide. This photo at right, Ghost Town Cemetery, was attempt to show the isolation of the area as well as how it was once called home for some. This mining town “was founded in 1878 after silver was discovered. Almost overnight, the small frontier town blossomed into a major settlement with a population of 4,000 people.” (1) Today it is totally deserted with the exception of the Bureau of Land Management employee (the guide) who lives on the property in a mobile home. All of these photos were taken with a Canon 6D. Ghost Town Cemetery was shot with an EF 16-35mm f/4 L IS USM lens at f/10, 1/125 sec, focal length 16mm, and ISO 100. The below photo, Lake Valley, was shot with the EF 24-105mm f/4 L IS USM lens at f/13, 1/160 sec, focal length 24mm, and ISO 100. It’s difficult to imagine how well this city and its mines actually performed back in the day. Miners actually “tunneled into a silver-lined cavity they named the “bridal chamber” that alone yielded 2.5 million troy ounces (78 tonnes) of silver.” Lake Valley’s mines later “struggled and were worked only periodically into the 20th century” with the exception of the Second World War when the mines reopened “to produce manganese, and continued operating into the 1950s.” (5) Like most ghost towns, it’s interesting to visit Lake Valley but once you’ve got your photos there isn’t much else to do. However, if you really appreciate history, it’s a pretty cool way to spend the day. Lake Valley, Sierra County, New Mexico.